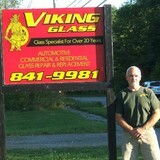 Viking Glass offers automotive, commercial and residential glass repair and replacement. We specialize in windshield repair, windshield replacement, shower doors, vinyl replacement windows, storm doors and storm windows. We also offer glass for table tops, shelves, wood windows, storm windows and woodstoves. Our experience dates back to 1986 and our motto is "Glass Breaks, We Fix It!" We also offer Rhino Shelter instant garages. These shelters are the best in the industry, constructed with galvanized structural steel tubing and the covers are made from industrial grade fabric with extra UV treatment and an inner black scrim. These portable shelters are perfect for vehicles, equipment, livestock, or anything of value. In addition a 2 year manufacturer's warranty comes with the purchase of your shelter! We guarantee professional workmanship and unparalleled service! Viking Glass is the glass company you can count on! As America's oldest window manufacturer, Mathews Brothers has been providing window and door products of superior quality since 1854. Whether you’re building a new Blue Hill home, remodeling an old one or just replacing a few windows that are past their prime, your window dealer in Blue Hill, ME will help you pick the right windows for your needs, home style and budget. Windows come in so many sizes and types that expert advice and direction is invaluable in helping you make the best decision. These pros can also help you with custom window designs that complement your space better than something ready-made. Lastly, if you are interested in doors with windows, these experts are also knowledgeable about sliding doors, French doors and other paned portals. 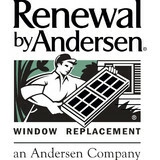 Your window pro might work closely with other Maine builders and remodelers as well. Here are some related professionals and vendors to complement the work of window sales & installation: Window Treatments, General Contractors, Home Builders, Specialty Contractors, Siding & Exteriors. Find a window dealer on Houzz. Narrow your search in the Professionals section of the website to Blue Hill, ME window dealers. You can also look through Blue Hill, ME photos to find examples of windows that you like, then contact the window professional who worked on them.